Athletics plays a distinct role in fulfilling TCA’s mission to “educate and develop the whole person for the glory of God.” Our athletic program, Building Champions: Winning Redefined, defines a CHAMPION’s Creed that drives our athletic endeavors and serves as the foundation for how our coaches and teams prepare and compete. More importantly, this program sets the standards by which we desire our athletes to live their lives both today and one day as adults. Our athletic program includes 21 varsity-level sports (ten for boys and eleven for girls, including cheerleading and drill team), and our athletes compete in the TAPPS 6A division. 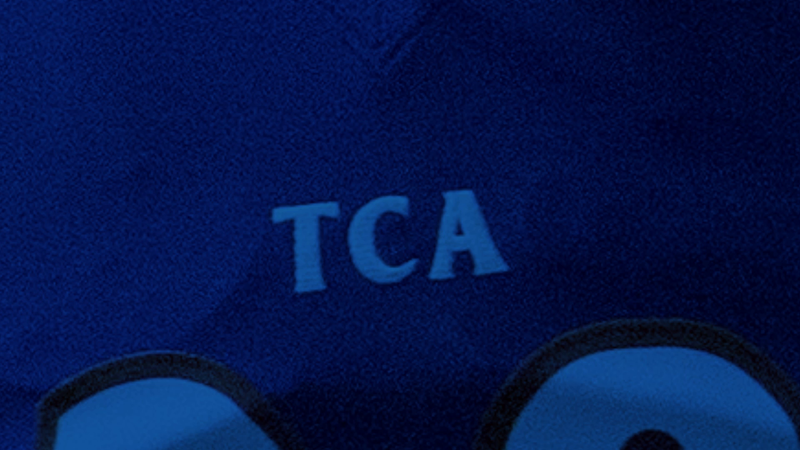 TCA enjoys a long tradition of successful athletic programs and has a history of state championships in many sports. Numerous athletes in a variety of different sports have gone on to pursue athletics at the collegiate level, including many at the NCAA Division 1 level. On Tuesday, the varsity baseball team honored many of our outstanding faculty during Teacher Appreciation Night at the Ballpark in Addison. TCA defeated St. Mark's 13-3 in five innings, led by seniors Blake Marsh (3 hits), Bryson Byrd (2 hits), Nick Clift (winning pitcher), sophomore Ian Collier (3 rbi) and freshman Ben Francis (2 rbi). Coach English, his baseball staff and players are blessed to be a part of the Upper School! Others winning matches for the Trojans were freshmen Camden Findley and Mark Nilson. 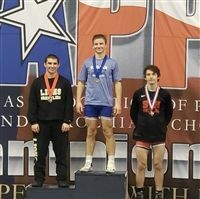 Also competing for TCA were freshmen Heath Booker, Ryan Freese and Luke Townley. In the team standings, the Trojans finished in fifth place. Congratulations to the TCA athletes that signed to continue their sports at the next level on National Signing Day. Mr. Russell Betts, known as “Doc” by the TCA students, started at Trinity in 1999 as a contract athletic trainer with Baylor Sportscare located in the Tom Landry Center. Mr. Betts joined TCA as the full-time Athletic Trainer in 2003. He graduated from New Mexico State University where he earned a BS in Athletic Therapy, with a concentration in pre-med. While employed by Novacare Rehabilitation and taking graduate classes, Mr. Betts and his wife, Pammie, relocated to Dallas. After arriving in Dallas in 1998, Mr. Betts took a contract position with Baylor Healthcare where he covered many athletic events in the Dallas area including Southwestern Bell High School hockey games, The Dallas Cup, Hoop-it Up and Dallas Stars hockey games. He also worked with athletes on the set of the movie “Any Given Sunday.” Mr. Betts and his wife have two daughters who attend TCA.